Walking downtown I had often passed in front of the restaurant, but lately as I was walking on Mont-Royal I saw that they had open another location and decided to try it. The restaurant is called Cacao 70 and after some research I found out they had 3 locations on the island of Montreal. If you look at the pictures on different social media sites you will see lots of chocolate everywhere as the name would suggest, it would be only normal. Not that I’m not a fan of chocolate but I don’t like my breakfast or brunch too sweet. That’s why I was really happy when I looked at the menu to see that the options were not strictly chocolate covered. My choice ended up on the egg basket, some fruits with chocolate sauce as starter followed by bacon wrapped eggs with tomatoes, beans, salad and potatoes. 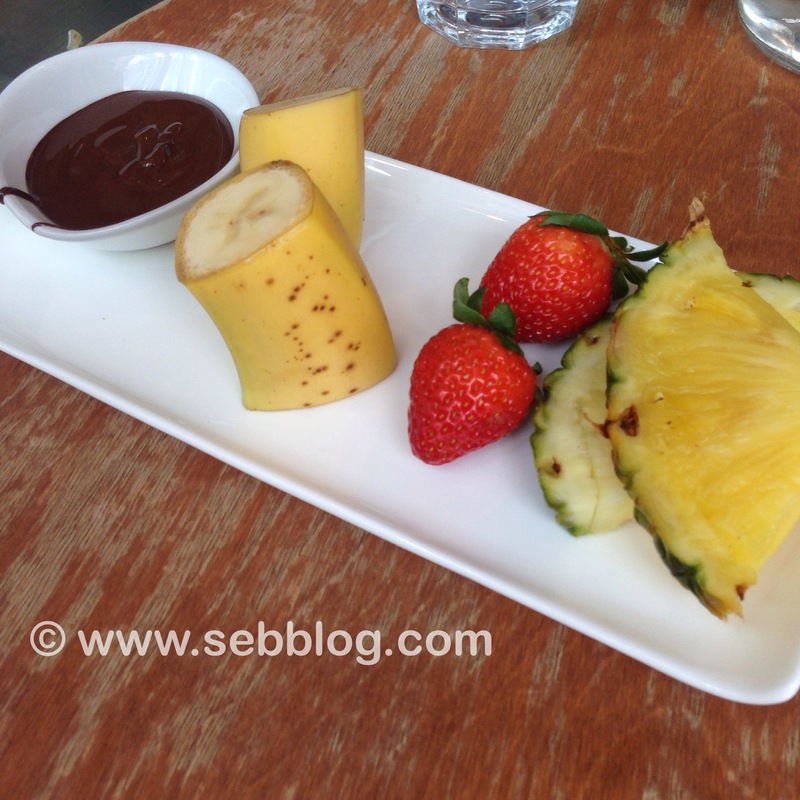 The fruits with the chocolate was just like a chocolate fondue and was perfect to give me a taste of their chocolate sauce without going to much on the sweet side. I have to say I really enjoyed it but the best part of the meal for me was the eggs. 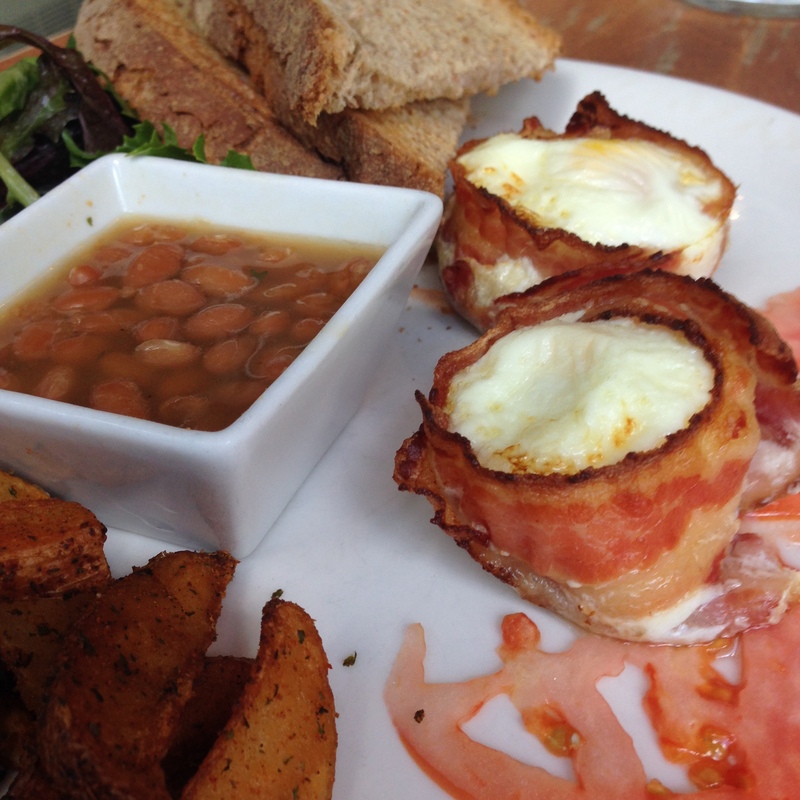 I never saw eggs presented like this before and been a bacon lover I was in heaven. The food was excellent although I could not finish my plate as they serve pretty big portions. 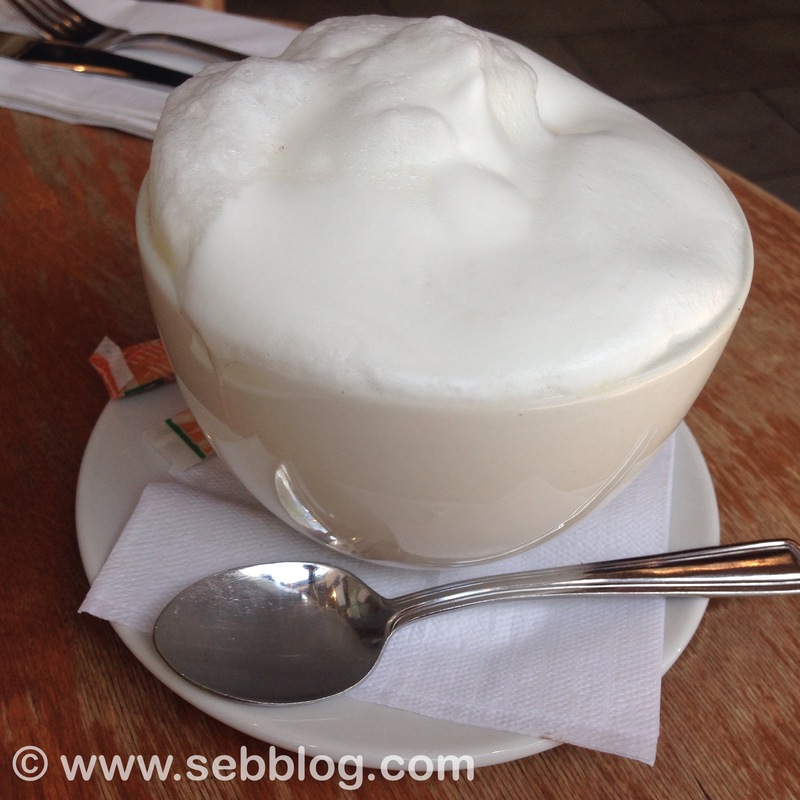 The coffee was also very good and I especially appreciated a large size cappuccino so I didn’t have to order twice. 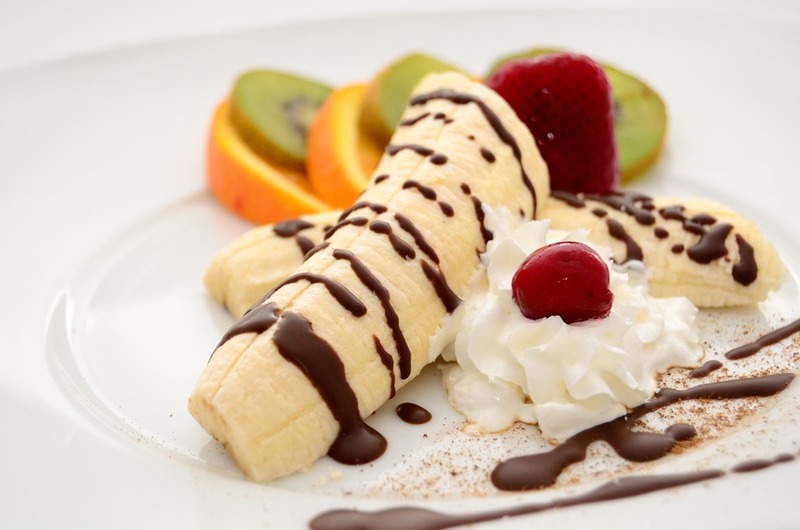 If you are a chocolate lover you will have plenty of choices to choose from and satisfy your sweet tooth. Overall I had a good time and like my experience, try it out and let me know what you think.